Work is continuing to clear a huge landslip which has blocked the railway line between Newcastle and Carlisle. 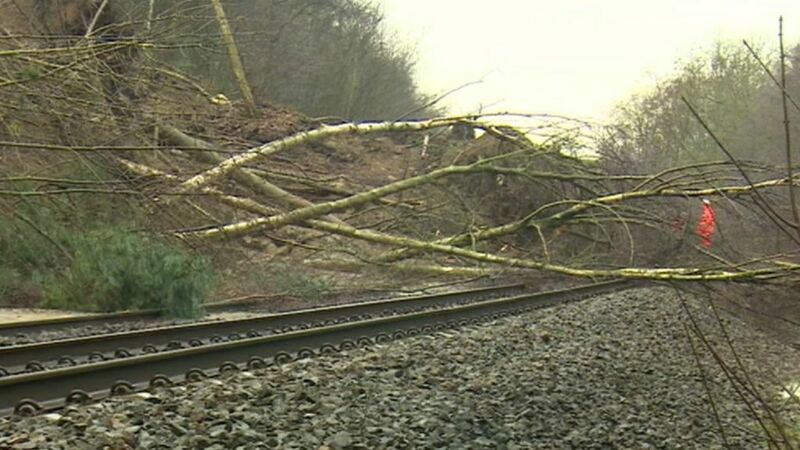 Network Rail engineers are having to remove thousands of tonnes of debris after heavy rain caused a huge swathe of rocks, soil and trees to slide down down onto the track at Farnley Haugh. Despite the scenes of devastation at the site, Network Rail's route managing director, Rob McIntosh, is confident they will have the line open again within four weeks.